I have trouble importing RAW-files to my iPad Pro (12,9, 2nd gen) running iOS 10. I have uploaded NEF-files to Google Drive from my Nikon D300. The problem is that they won't open. If I try to open them from GD with the "open in app"-command, nothing happens. And if I navigate to GD from within Affinity Photo the NEF-files are greyd out and cannot be opened. I tried to send a file to iCloud Drive but it too is grey and cannot be opened. I converted one of the files to a jpeg. and it opened just fine from GD. Looking forward to your reply, thanks! It doesn't seem right that Affinitiy Photo has zero permissions. 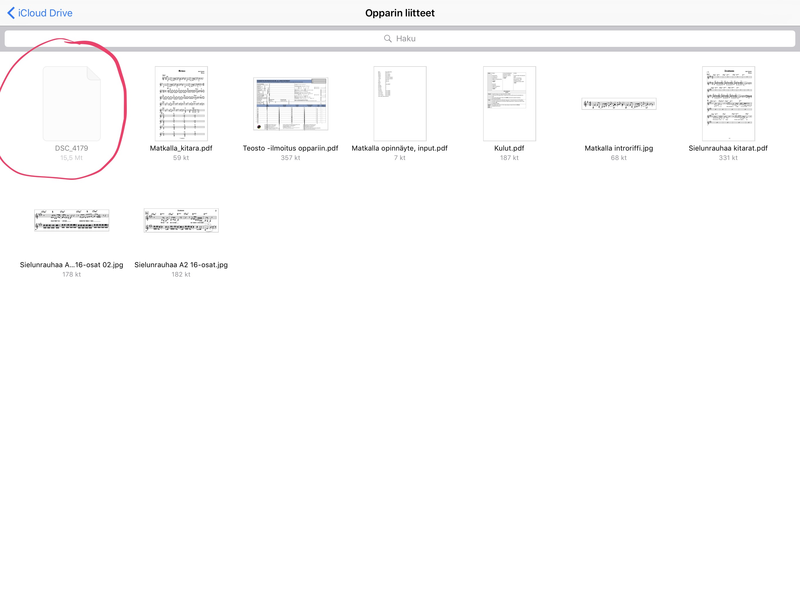 When checking iPad -- Settings -- apps - Photo, there is just nothing there. It's the only app on my iPad that looks this way. 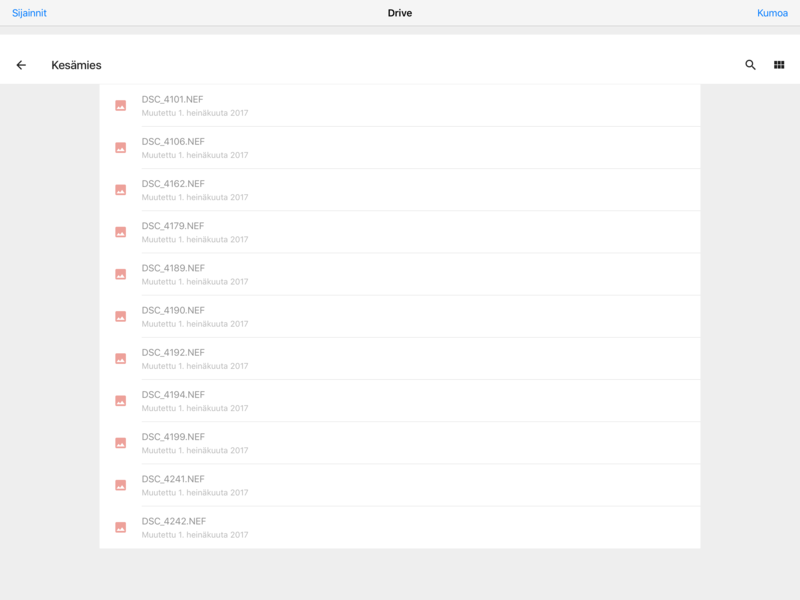 FWIW, I remember a month or two ago trying to open RAW files from Google Drive and then too getting only grayed-out options. Update: I got iCloud Drive working by adding the .NEF by renaming the file. After that the file opened in the develop persona just fine. But Google Drive still not working. This has been passed to our developers to look into, the issue may relate to the Google Drive API we use in Affinity Photo. Hi, when will we get an answer or fix on the problem? I've been stumped for weeks, since purchasing Affinity app for my iPad and I haven't been able to use it. From speaking with our developers the issue is with the Google API, which is something we don't have any control over. I think it's a problem with Mega. I need to download the file in Mega App to be able to use it in Affinity Photo, in another case, I can't open it.